From 1 September British Airways will be helping to alleviate the fears of nervous flyers with the launch of an instructional video on its in-flight entertainment system. The film is based on the one-day Flying with Confidence course run by the airline and is presented by course leader and pilot captain Steve Allright. Flying and travelling abroad can be worrying to many but taking out travel insurance can help give passengers peace of mind. The video sees captain Allright take potential passengers through the operations of an aircraft, offering explanations on the technical side of flying and occurrences such as turbulence. Also included in the video are relaxation techniques from clinical psychologists that will help with feelings of panic. 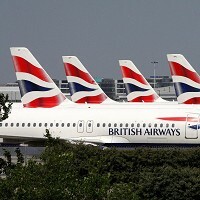 Customers can view a clip from the film on British Airway's YouTube site, but the full version will be available on the airline's in-flight entertainment service. Captain Allright said: "The British Airways Flying with Confidence course has helped more than 45,000 people over the past 25 years. "I really hope that we can reach, and help, even more people with this video - whether they're flying for business or for their holidays."